Originally published by The McClure Co., Inc., Staunton, Virginia, 1920. This is a 1980 reprint edition by Regional Publishing Company. Outside page edges are spotted. Inside pages are nice and clean. 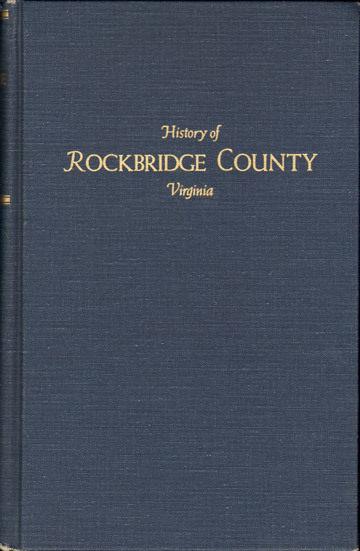 A detailed history of Rockbridge County, Virginia with biographies of many families plus numerous mentions of many, many other families and names. Hard Cover, 574 pages, with index.